The road less travelled and the ancient way of the Romans across northern Spain´s coast and devout pilgrims to Compostela is the route through this most alluring and mysterious area. The myths and stories of Cantabria, Asturias and Galicia are our companions on this fascinating journey. 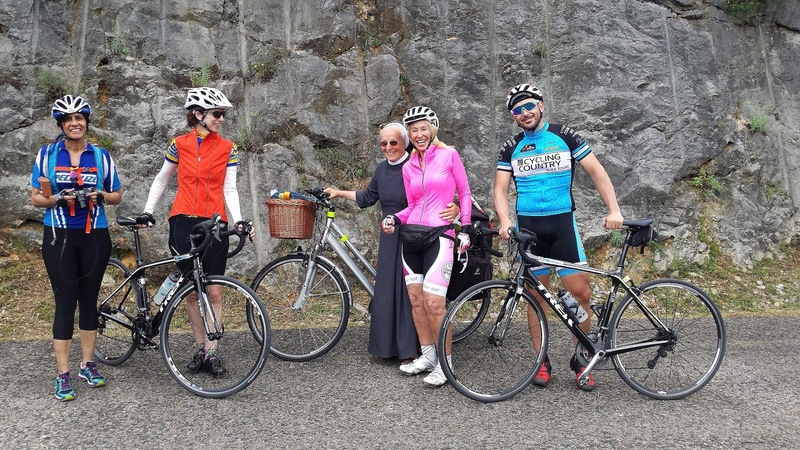 Cyclists are spoiled for so many great routes throughout the world, but one of the most ancient is the Way of St. James (also known as the Camino de Santiago or the Camino Francés) which was one of the most important Christian pilgrimages during the Middle Ages, together with the Via Francigena to Rome and the Pilgrimage to Jerusalem. To travel any of these routes, meant a great deal to the spiritually inclined population of those days, as it still does to many today. 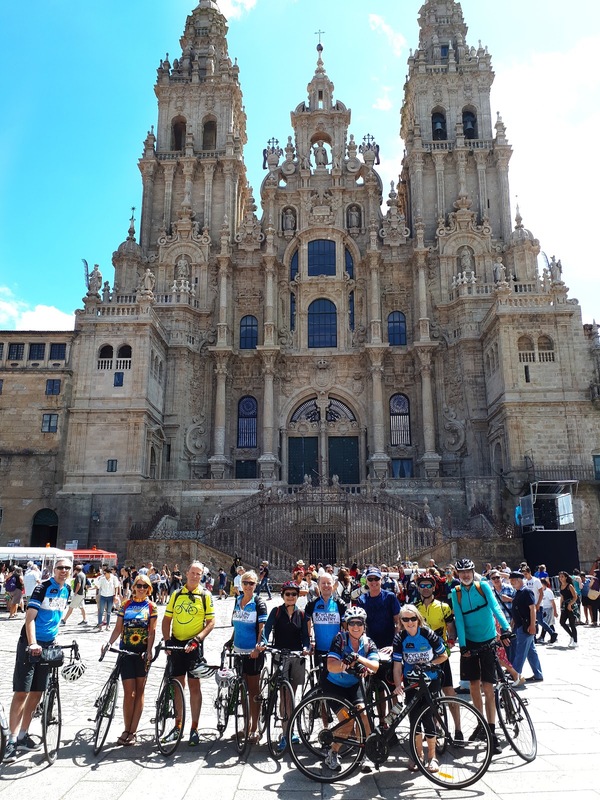 The exact story on how Compostela´s pilgrimage came to be comes from biblical times and the story goes that after the crucifixion of Jesus, his apostle, St. James became the leader of the church in Jerusalem. He travelled to Spain to preach, then returned to Jerusalem where he was martyred. Following his death, his followers are said to have taken his body to the coast, where a ship was waiting to sail. The body of St. James was interred in a tomb in his beloved north western Spain, after which its location fell into oblivion for centuries. Around the year 815, a Spanish hermit named Pelayo had a vision in which he saw a bright light shining over a spot in a forest. When investigated, a Roman-era tomb containing St. James’ body was found. A church was built on the site of the tomb. Around this shrine the city of Santiago de Compostela The shrine began attracting pilgrims, who steadily increased in number and the city grew. Romantically the name of Compostela comes from the Latin "Campus stellae "which means “field of stars” . Interestingly there is another tie to the Camino de Santiago, which is the Milky Way galaxy of stars. The reason for this is because when walking el Camino de Santiago at night you can see the Milky Way galaxy directly overhead as you are travelling East to West this is also apparent in the daytime, when it is the biggest Star, the sun´s movements which you follow. 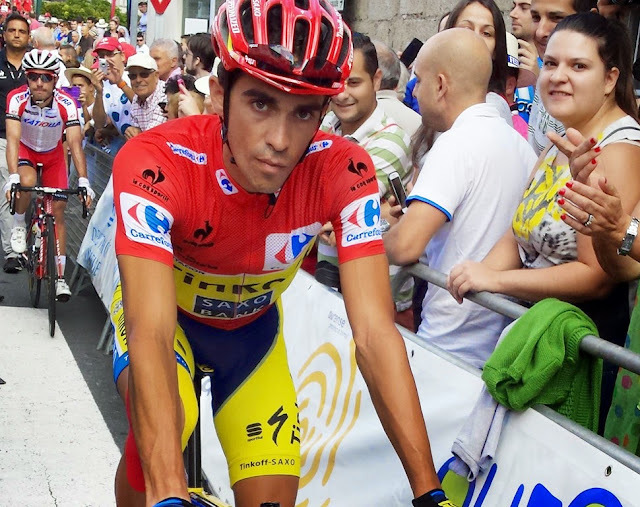 Speaking of stars, quite a few have made the trip, including King Luis VII of France, Saint Francis of Assisi. Writers Paulo Coelho, Stephen Hawking has completed some of it, actors Anthony Quinn and Shirley MacLaine, Martin Sheen, and many more. The Camino del Norte, is a very different experience from the Camino Francés. It is quieter and the terrain much more different. 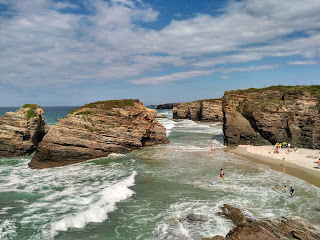 El Camino del Norte follows the Northern coast of Spain and the Bay of Biscay, from the French border in Irun, along the Basque Country, Cantabria, Asturias and finally Galicia region dropping down to the town of Santiago de Compostela. 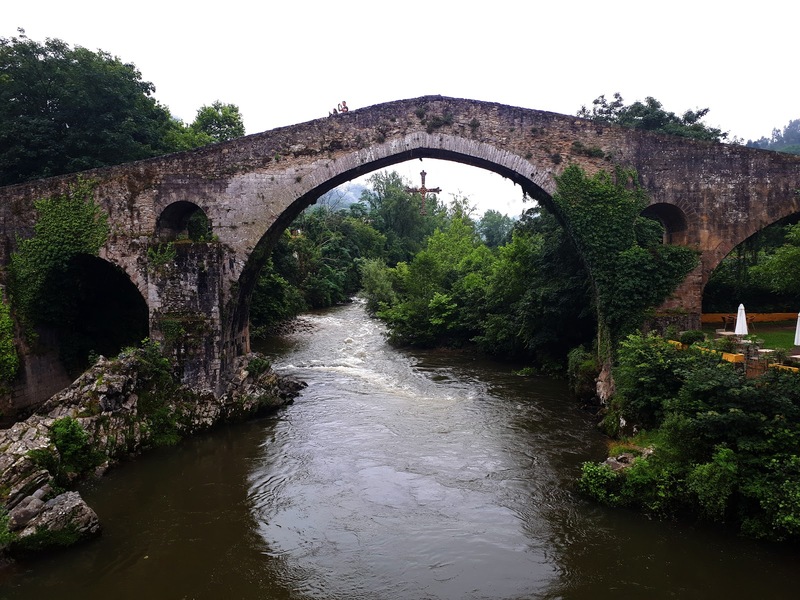 It is a much hillier route with the staggering sights of the Picos and can include some historic stops like Potes, Cangas de Onís and some of Spain´s most idyllic white sandy beaches with turquoise waters or dark green forests. When the first pilgrimages started in the 9th and 10th centuries, this was a very wild and dangerous land. The Muslim Empire and the powerful Calipah of Al-Andalus, strongly held the entire peninsula and had done so since the 8th century. 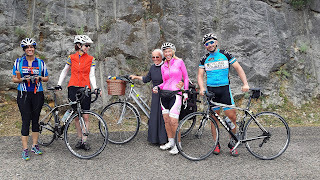 With the Reconquest first to happen in this deepest and darkest of mountainous places you cycle, this began to be known as a safer place for Christians to journey through than further south, in what would be the Camino Frances. The roads were there thanks to the Romans but safety was an issue at the beginning (the expulsion of the Moors was in 1492 in the South). 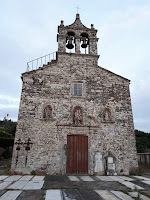 Humans haven´t changed that much and we are obsessed with knowing the best place to sleep.. thus, in 1139 the first guide for El Camino de Santiago was written by a religious priest, Aymeric Picaud. As the Reconquest became more successful, the Camino gained the favour of Popes, kings and of course local merchants. The guide, called the Codex Calixtinus is considered to be the first Camino de Santiago guidebook. 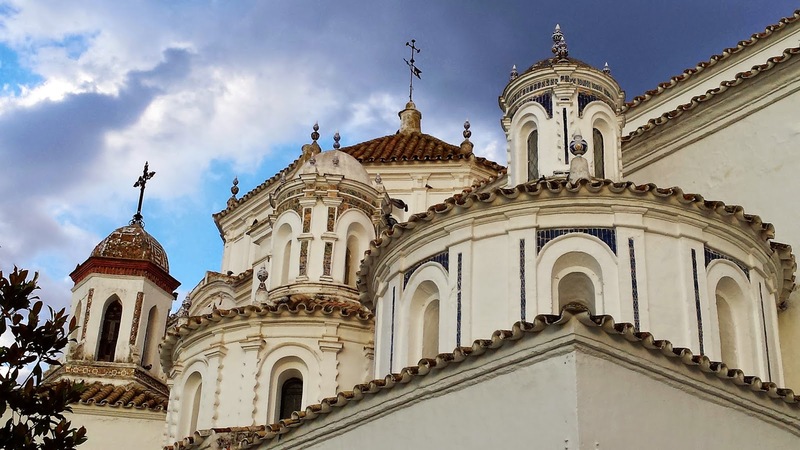 It is divided in five sections and covers the French Way route, the Camino Francés in such detail as listing places to visit along the way, food and hospitality tips. Today it is kept in the Cathedral at Santiago. 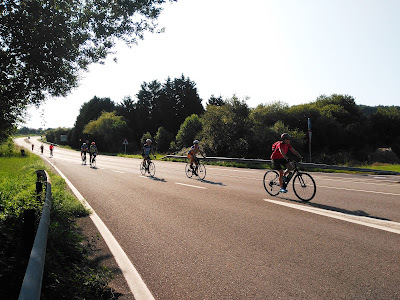 After flying over from far flung destinations, today´s cyclists wear an array of Lycra, Gore-Tex, breathable, mix of NASA designed materials, all searching their GPS or phones for maps, TRIPADVISOR ratings on cafes and hotels and symptoms of strained hamstrings, or IPods for their MP3 “Cycling the Camino” compilation music mix. Originally those on this pilgrimage started their Camino from their home doorstep and wore the normal medieval attire, wide brimmed leather / straw hat to keep sun and rain off, short cape, leather bag and large stick for walking and protection. A dried gourd or pumpkin swung from the stick for use to fill up water or even better, wine! Today just as many are still making the pilgrimage on foot or 2 wheels and on “Holy Years”, (whenever St James's day (25th July) falls on a Sunday, the cathedral declares a Holy or Jubilee Year. Holy Years are every 6, 5, 6, and 11 years: the last being 2010 (when almost 300,000 people made the pilgrimage, the next being in 2021. Why don´t you make it the year to cycle the Coastal Camino route.. or why not start earlier! 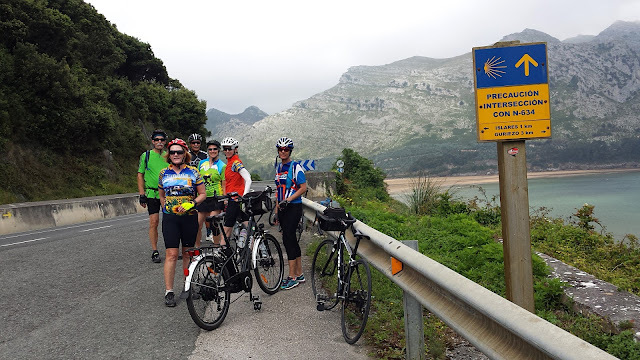 Cycling Country runs their Coastal Camino Bike Tour in June and July.